On Wednesday morning, September 13, 2017, at approximately 0550 hours, officers from the Manchester Township Police Department responded to a Robin Street address in the Cedar Glen West section of the township for the report of stabbing which had just occurred. The victim, 58-year-old, John Brescia of Manchester had reported that his father, 85-year-old, Victor Brescia, also of Manchester, had stabbed him in the abdomen with a large knife. Prior to the arrival of the officers, the victim managed to disarm his father and secure himself in a safe location within the residence. Once the officers arrived, determined the scene to be safe and located the victim, medical personnel was brought in to provide treatment. The victim was subsequently transported to Community Medical Center in Toms River by members of Quality Medical Transport with the assistance of paramedics from MONOC. At this time, the victim’s injuries do not appear to be life threatening. 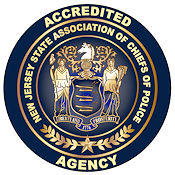 The investigation was conducted by Patrolman Nicholas Greenwood of the department’s Patrol Bureau with the assistance of Detective David Fusaro of its Investigations Bureau. Also assisting with the investigation were detectives from the Ocean County Sheriff’s Office’s Crime Scene Investigation (CSI) Unit. The initial investigation determined that the stabbing was the result of a verbal argument between the pair which had taken place the prior evening. Victor Brescia was taken into custody without incident and charged with one count of Aggravated Assault with a Weapon and one count of Possession of a Weapon for Unlawful Purpose. As a result, he was transported to Ocean County Jail pending his first appearance.